The number of Turkish companies in "Defense News Top 100," which is regarded as the most prestigious defense industry lists in the world, has increased to four. "Defense News Top 100," published every year by the U.S.-based military publishing company, Defense News magazine, based on the previous year's defense sales, was announced. 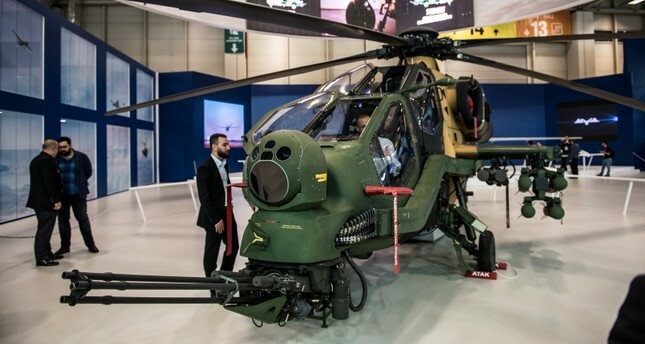 Four Turkish defense companies – ASELSAN, Turkish Aerospace Industries (TAI), ROKETSAN and Defense Technologies Engineering and Trade Inc. (STM) ranked 55th, 64th, 96th and 97th on the list, respectively. While STM has entered the list for the first time, ASELSAN and ROKETSAN moved up two spots each. Having boosted its performance with the projects it has undertaken both at home and abroad, ASELSAN continued to rise up the list, which it entered for the first time in 2006, by increasing its turnover to $1.42 billion last year from $1.19 billion in 2016. ASELSAN has achieved this success with research and development-based products and solutions it has developed in the fields of military and civil communication systems, radar and electronic warfare systems, electro-optical systems, avionics systems, defense and weapons systems, command control systems and marine systems. TAI, which has realized domestically designed projects like the ANKA unmanned aerial vehicle (UAV), ATAK helicopter and HÜRKUŞ, and manufactures for leading aircraft manufacturers such as Boeing, Airbus, Lockheed Martin, Northrop Grumman, Bombardier and Leonardo, entered the list for the first time in 2011 at 83rd. The company has remained on this year's list with a turnover of $1.1 billion. ROKETSAN, which entered the list for the first time last year, also secured a place on the list with a turnover of $376 million this year. Meanwhile, STM got on the list for the first time with a turnover of $369 million. Lockheed Martin ranked first with a turnover of $47.98 billion, Raytheon Company second with $23.57 billion, BAE Systems third with $22.38 billion, Northrop Grumman fourth with $21.7 billion and Boeing fifth with $20.56 billion.